I am a surgeon. I think like a surgeon, which means I am intent on finding a structural problem I can surgically correct and relieve my patient’s suffering. When this happens, I feel a deep sense of satisfaction and I am my patient’s hero. It is a privilege to be able to offer that service. However, a significant part of my practice is evaluating patients who do not have an identifiable structural problem that I can correct. I am frustrated when I have to tell them that there is not a surgical solution to their pain. As surgery is often viewed as the “definitive solution” or “last resort,” these encounters are very emotional and distressing. I have taken away what is often their last hope. As much as I dislike the previous scenario, the situation I detest the most is that of a patient who has a prior surgery that has failed, one that leaves their pain the same or makes it even worse. Frequently, these patients have undergone many failed fusions. When I review the old records, I often see that the original operation or operations were done for “back pain.” In these cases, there is not an identifiable source of the pain. Even more disturbing is when a given patient has undergone a surgery with a low success rate that ended in a major complication. All surgeons have complications, but the potential benefit should always be greater than the risks of surgery. A fusion is on operation that works well for an identifiable structural problem. With a spinal fusion, vertebrae are “welded together” with screws, connecting rods, and bone graft. If I can see structural problem that requires a fusion, I can fix it. On the other hand, if the back pain is emanating from the supporting soft tissues, then a primarily bony operation is going to leave the soft tissues inflamed. A patient may experience a temporary decrease in pain, but it’s usually minimal. The surgery doesn’t reduce your chronic pain in a significant way, and then the central nervous system is now even more stimulated from dealing with a “failed back surgery.” The downward spiral of chronic pain is intensified. Bad surgeries can be even worse. The spine may break down around the fusion, which means that a procedure that was initially unwarranted has resulted in devastating structural damage that requires more surgery. The pain and complications are usually much more severe than the initial problem. Dealing with these breakdowns is a significant part of my practice. That’s why I came up with an alternative treatment to surgery that, when followed, will help rid patients rid of their chronic pain. It’s a system that has evolved over twenty-five years and thousands of patients. I explain the system at length in my book, Back in Control. The treatment I’m proposing is called the Defined, Organized, Comprehensive Care Project, or DOCC Project. Under the DOCC program, you’re guided through a series of steps that allow you to take charge of your own care and address the issues in your life that are preventing you from getting better. People experience chronic pain in different parts of their body – back, neck, shoulders, elbows, among others – and the DOCC program will work for any of them. 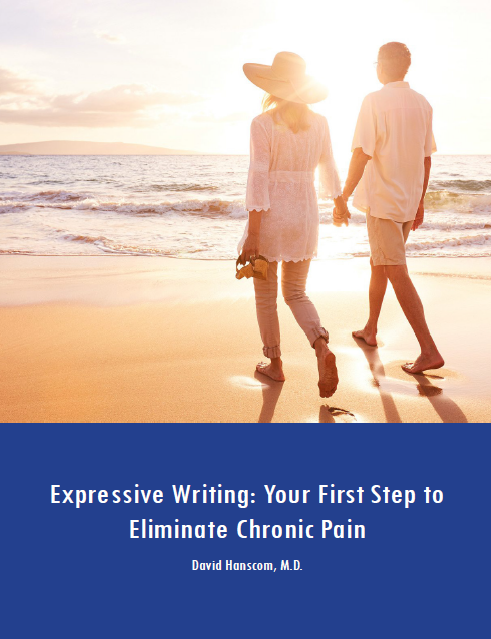 For the purpose of this book, however, we’ll focus on the most common: low back pain. A large number of my patients with chronic pain have followed the DOCC program and become pain free with and without surgery. 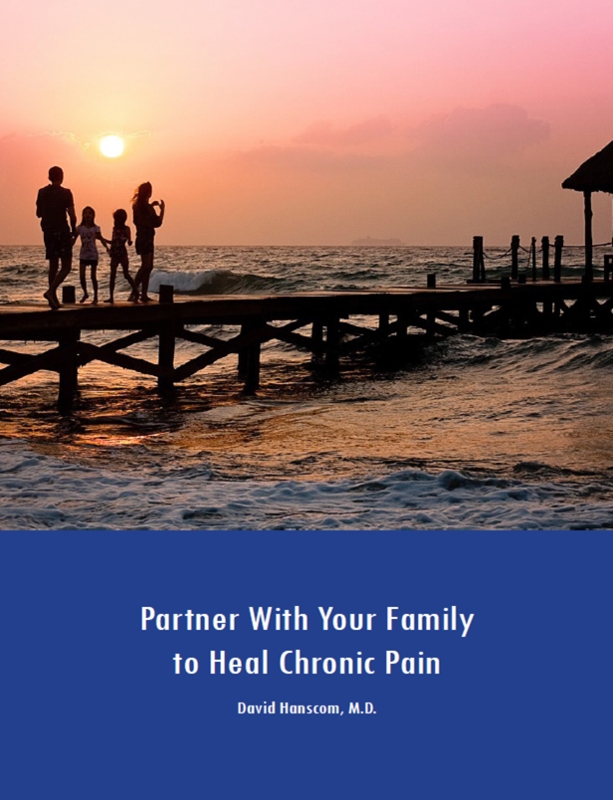 The program is a system set up to address your own pain related issues in an organized way, with anyone involved in your care, including your physician, pain psychologist, physiatrist, physical therapist or chiropractor. It is simply a framework of care that allows all parties involved in treating your pain to communicate more clearly and thereby deliver more effective treatment. The majority of the time, there is no one “pain generator.” Rather, there is a whole range of variables that affect the pain experience. By aggressively addressing your sleep issues, setting goals, dealing with any underlying anxiety or anger, and undergoing rehabilitation, my patients have been able to get rid of their chronic pain. I have included their stories in Back in Control. Get to know me in this introductory Video: Introducing David Hanscom. Read about My Call to Action.